Daniel Sheehan was the fifth of ten children of John Sheehan and Frances “Fanny” Bourke and was born in Hamilton in 1882. The Sheehans lived on Digby Road and Daniel attended St Mary’s Convent school. When Daniel left school he worked as a labourer, continuing to live at home. On 2 August 1915, Daniel enlisted but it wasn’t his first attempt, having previously been rejected due to his teeth. His younger brother Luke Thomas enlisted earlier in the year on 5 January and left overseas in February with the 7th Light Horse. In November another younger brother James Thomas, then living in South Australia enlisted with the 3rd Light Horse. 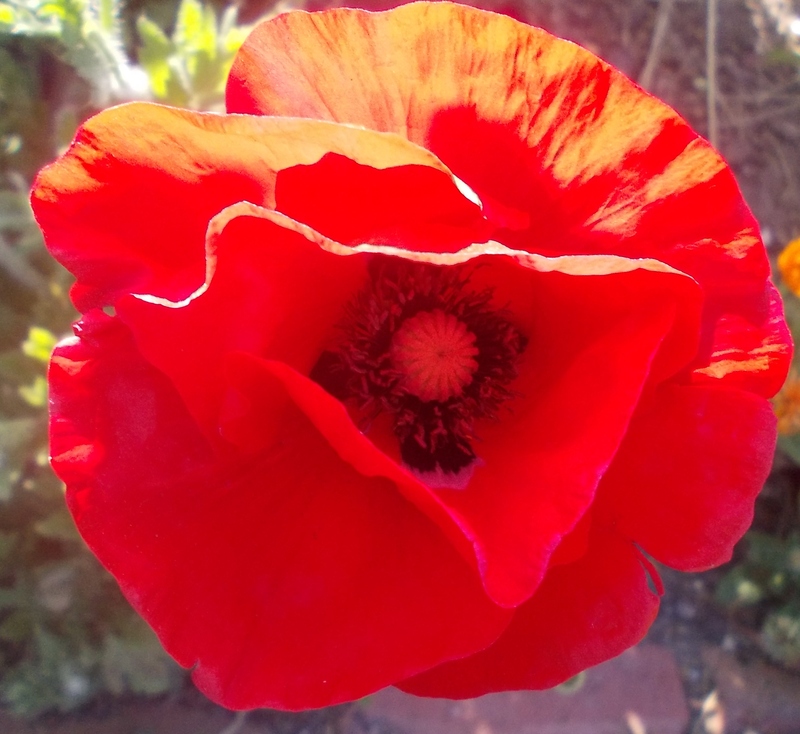 The following month, Daniel left for Egypt not with a light horse regiment but the 5th Battalion. Once in Egypt, Daniel spent most of February and March 1916 in hospital with influenza. Once released from hospital he was off to France on 29 March. He reached the 5th Battalion at Estaires on 11 June 1916 with eighteen other reinforcements. The following month, on 2 July Daniel went to hospital suffering bronchitis and on 24 July admitted to the 1st Australian General Hospital at Rouen. By then the 5th Battalion were making their way to the trenches at Pozieres. While in hospital, Daniel wrote home to his parents. He praised the Red Cross Society for the work they did and said he had been under shell fire for two months. He was able to rejoin the 5th on 1 September 1916 as the battalion were leaving the Ottawa Camp at Reninghelst, Belgium. By November the 5th Battalion were near Flers as the Battle of the Somme reached its last days. The 5th Battalion unit diary offers view details from those early days of November 1916, however on the 5th, the 5th Battalion were in and out of trenches with Grease, Biscuit, Pilgrim’s Way, and Pioneer trenches all occupied by members of the 5th during the day. 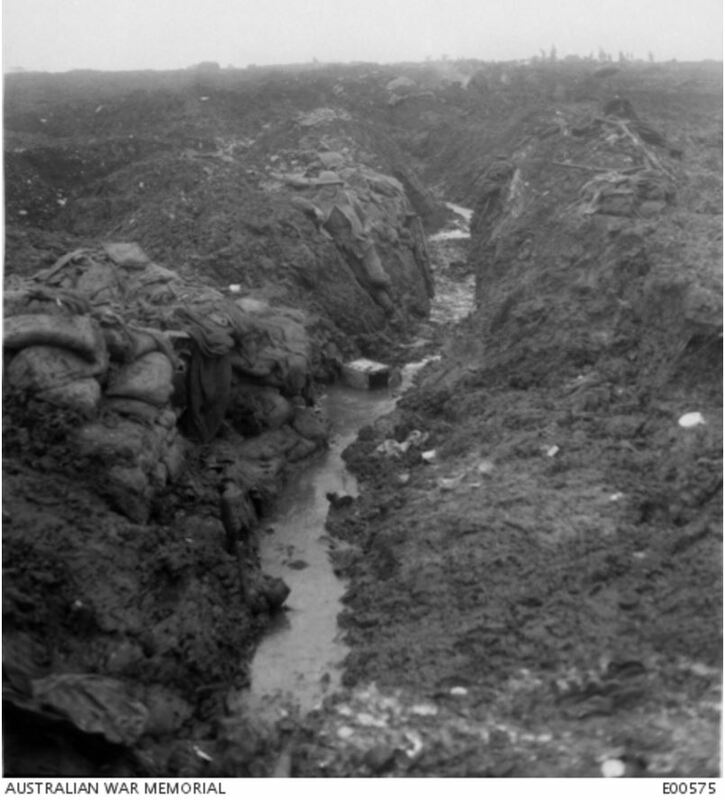 On 6 November, they were in Gap and Switch Trenches but left during the day for Bernafay. “Family Notices” Hamilton Spectator (Vic. : 1870 – 1918) 6 November 1917: 4. <http://nla.gov.au/nla.news-article119859154&gt;. James Sheehan returned to Australia in January 1918 while brother Luke returned on 11 July 1917. 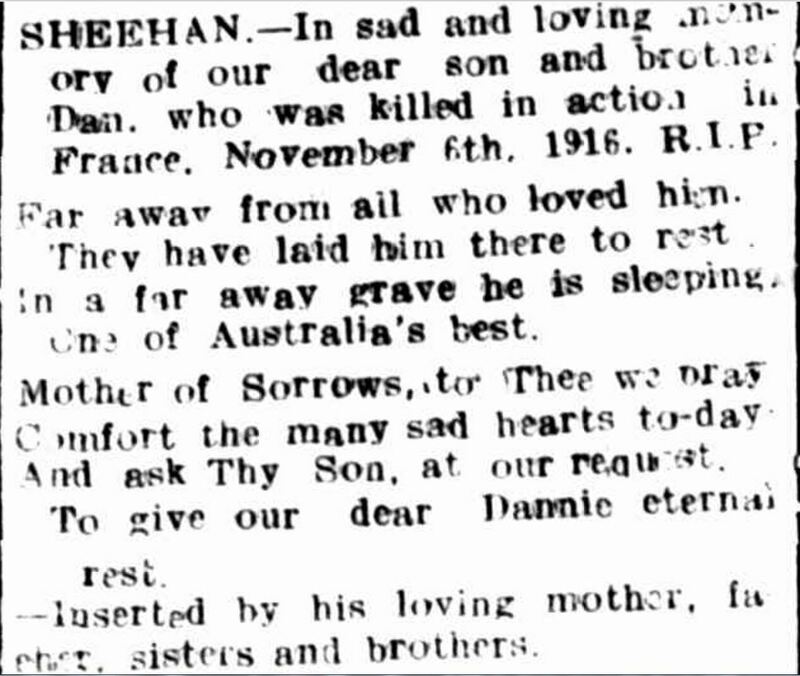 Daniel’s father John Sheehan died in 1921 and Fanny in 1923. They were both in their seventies. Daniel is remembered on the St. Mary’s Honour Roll and the Hamilton War Memorial.